Steven (Chicagoland, United States) on 22 April 2009 in Plant & Nature and Portfolio. 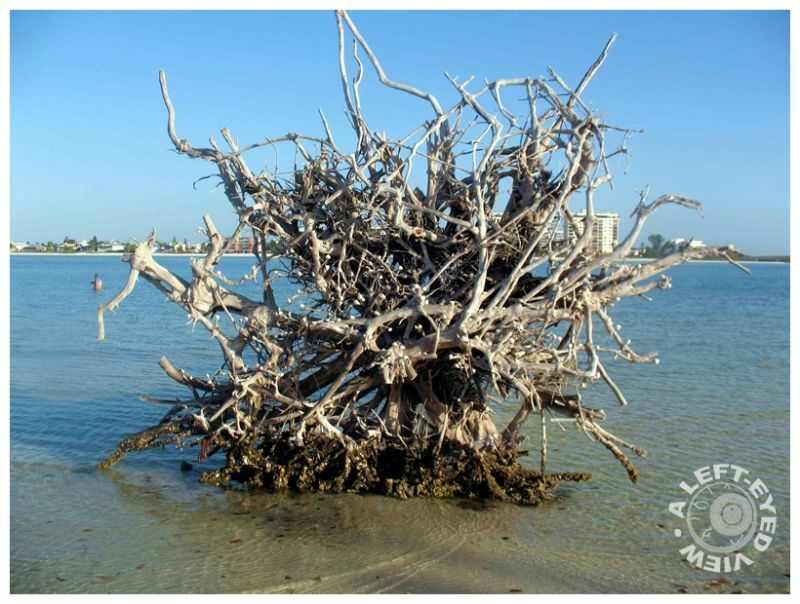 A tree that was upended in Lovers Key expooses its roots from underneath. Closer inspection of the roots reveals hundreds of scallop shells hanging from the roots; most likely hung by people walking by. So intricate ! Incredible ! It makes a great natural sculpture. Very cool. Looks like a nebula in space... I have lots of photos of roots too... all rejects.